Your wedding is the most important party you will ever throw, after picking the perfect venue why not consider wowing your wedding guests with a candy cart! You can choose one of our three pre-designed packages or create your very own bespoke package. On the day of your wedding our hand crafted candy cart will be delivered to your venue. 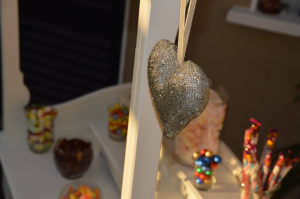 Sweets and props will be set up as you desire, so that you and your guests can enjoy sweet treats late into the night. The following morning we will collect the Cart and pack up any leftover candy for you to take home and enjoy later. Candy Cart Ireland 2014. All rights reserved.